Availability may also help explain why the state has a high rate of opioid-related visits to hospital emergency departments. Massachusetts had the highest rate of opioid-related visits to hospital emergency departments among 30 states included in the latest federal report, another grim benchmark of the drug scourge gripping the region. More than 450 visits to emergency departments for opioid-related reasons were made for every 100,000 residents in the state in 2014, the latest year data were available, according to the report by a division of the US Department of Health and Human Services. Matthew Kitsos, spokesman for the state’s Health Policy Commission, said last week a preliminary analysis has found that opioid-related emergency department visits, as well as opioid-related inpatient stays, in Massachusetts increased in 2015. The commission hopes to release its analysis this summer, he said. The federal report lists Maryland as a distant second to Massachusetts, and other New England states were not far behind: Rhode Island had the third-highest rate (about 298 visits); Connecticut the fifth-highest (about 255 visits); and Vermont was sixth (about 224 visits.) New Hampshire and Maine were among the 20 states for which data were not available. “The number of deaths [from opioids in Massachusetts] would have been much higher without the push to get people to get help,” said Traci Green, deputy director of the Injury Prevention Center at Boston Medical Center. She cited efforts to get people to call 911 in the event of an overdose and to inform the public about the availability of naloxone, which can reverse the effects of an overdose. The main culprit appeared to be the drug fentanyl, which was present in an increasing number of deaths, even as heroin-related deaths declined. Green said the surge in hospital visits, like the sharp rise in deaths, has been caused primarily by growing use of fentanyl, a powerful and deadly synthetic opioid. The high rates of hospital visits in Massachusetts are a clear reflection of how bad the opioid problem is here, but they also indicate that efforts to encourage people to seek help have resonated, experts said. Those steps include adding hundreds of treatment beds, restricting opioid prescriptions, and mounting a campaign against stigma. Opioid overdoses, however, claimed the lives of nearly 2,000 people last year in Massachusetts — up significantly from 2015, which was up from 2014 — even as public and private campaigns have sought to curb the addiction crisis. Joanne Peterson, founder and executive director of Taunton-based Learn to Cope, a nonprofit support network for families, said the high rates of hospitalization in the state aren’t just because of nonfatal overdose cases. “Many people are told to go to the emergency room when they can’t find treatment somewhere else,” she said. 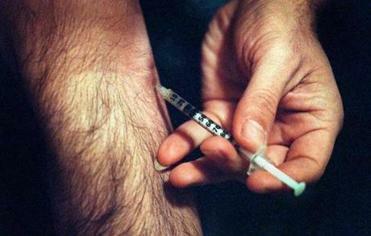 Specialists also said that opioid users sometimes wind up visiting hospitals because they develop infections from injecting themselves. Such visits are particularly common among fentanyl users because the drug’s short-lived effects cause users to inject themselves more frequently. 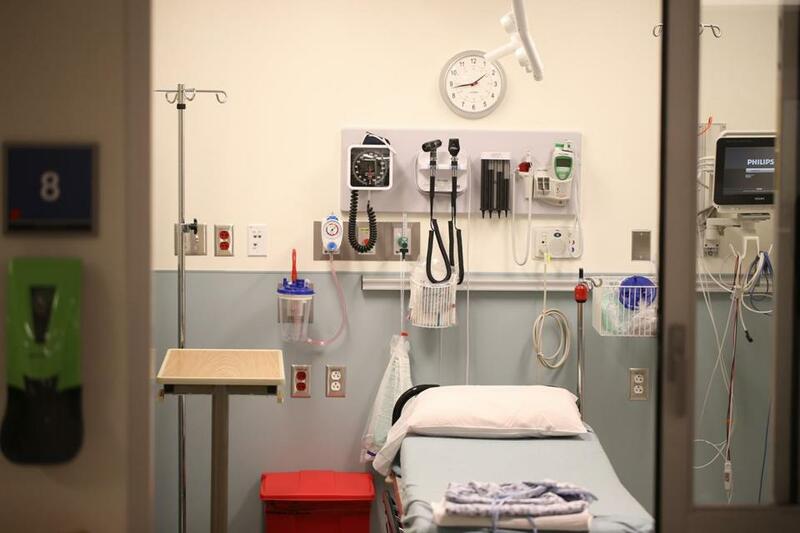 State officials also noted that near-universal health insurance coverage and the availability of hospitals around the state may also help explain why Massachusetts has such a high rate of visits. Kitsos said that use of emergency departments by all types of patients has generally been higher in Massachusetts compared with the national average. The federal report was published as part of the Healthcare Cost and Utilization Project, which is sponsored by the Agency for Healthcare Research and Quality within the Department of Health and Human Services. Some states did not report data because of differences in how they collect and release the information. The report showed that opioid-related visits to emergency departments in Massachusetts were about 71 percent higher in 2014 than they were in 2009. By comparison, the national rate was about 65.5 percent higher in 2014 than 2009. The report also looked at opioid-related inpatient stays. Massachusetts had the second-highest such rate as of 2014, at about 394 stays per 100,000 residents, trailing only Maryland, which had a rate of about 404. The national rate was about 225 hospitals stays per 100,000 people. In Massachusetts, opioid-related emergency department visit rates were particularly high for males, people between 25 and 44 years old, those who live in low-income ZIP codes, and residents of large urban areas, the data show. Those demographic trends were generally the same for inpatient stays in Massachusetts, with one particular exception: Rates of in-patient stays were high for people from small metropolitan and rural areas. A study released last year by the state’s Health Policy Commission that focused on opioid-related hospital visits in Massachusetts found that the Berkshires, Southeastern Mass-achusetts, and the Lawrence-Lowell area had the highest concentrations of residents who visited hospitals with opioid-related problems. It identified seven “hot spots,” communities with the greatest rate of inpatient admissions for opioid use: Boston, Holyoke, the Leeds village of Northampton, Lynn, Pittsfield, Springfield, and Worcester. Figures are for 2014 and are rates per 100,000 residents.